Just convincing consumers to travel to the local mall is enough of a challenge. Enticing them to lay out a chunk of change to travel to your city for vacation is on a whole other level. But marketers are finding some creative, often socially driven ways to lure travelers to such ports of call as Los Angeles, New Orleans and Las Vegas. The Los Angeles Tourism & Convention Board’s $5 million “What’s Your L.A. Story?” campaign, which launched in April, showcases the city in 15-second spots, featuring true stories like a father and son visiting the venue where The Doors debuted or a kayaker paddling alongside 20 dolphins. The campaign encourages consumers to share their stories at discoverlosangeles.com. “Advertising awareness continues to soar, yet we know that we have the ability to cast the proverbial net wider,” said the convention bureau’s CMO Don Skeoch. That wider reach encompassed both print and digital, tapping popular Instagram influencers whose photos were tagged #LAStory. Those influencers accounted for half the campaign’s 25 million social media impressions. The New Orleans Tourism Marketing Corp. used a similar tactic with “Follow Your NOLA,” which included inviting a dozen influencers representing key demographics to the city. Meanwhile, this past spring a food truck featuring cuisine from the Big Easy and commandeered by celebrity chef Brian Landry rolled through Houston, Dallas and Austin, Texas, drawing more than 5,000 people, many of whom follow the truck on Twitter. Half the campaign’s budget was slated for digital—not a surprise considering that 65 percent of leisure travelers research online before making their travel plans, according to Ipsos MediaCT. As part of the campaign, the tourism board forged partnerships with the likes of Pandora, BuzzFeed and Flavorwire. 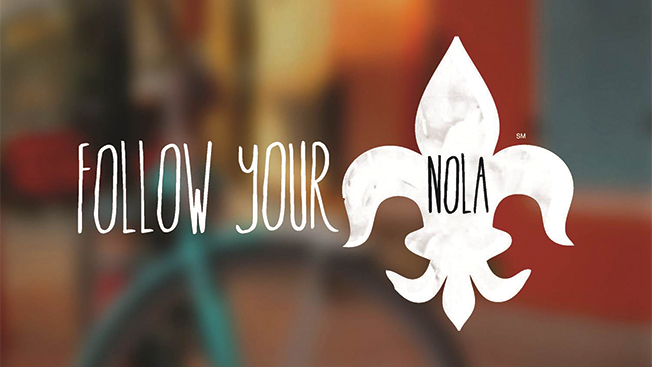 “Follow Your NOLA” has to date enjoyed 600 million total impressions and drove a 20 percent increase in traffic to neworleansonline.com. Las Vegas, which attracted nearly 40 million visitors last year, has spent a decade smartly lampooning the city with its “What Happens Here, Stays Here” campaign. This July, the Las Vegas Convention and Visitors Authority launched a new campaign aimed at conventioneers, a market that has waned in recent years.